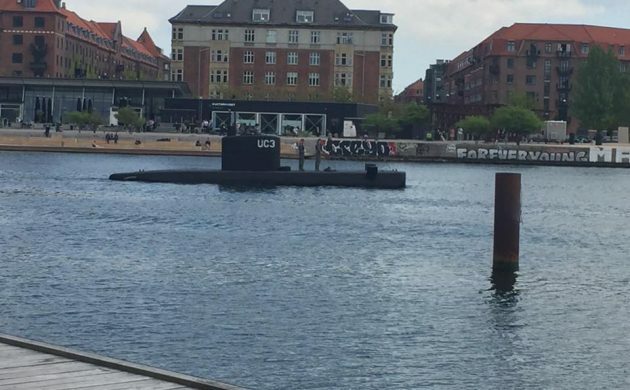 For a moment there was a ray of light for Peter Madsen in Courtroom 60 on day eight of the 12-day hearing, when a witness finally backed up one of his stories – there have, after all, been three versions of how Kim Wall died aboard his submarine on August 10. But then it was extinguished as it transpired that his explanation would have made it hot inside the exhaust-filled sub – very hot indeed. Kim Winther from the Danish Technological Institute, a graduate of civil engineering specialising in thermodynamics, was asked to examine three possible scenarios related to different valve settings during the time Wall allegedly died as a result of inhaling exhaust fumes. Despite never stepping aboard the Nautilus, he produced seven pages of calculations and ruled that Madsen’s explanation was plausible: Wall could have died, he suggested, as a result of exhaust fumes in the manner described by the submariner. But then came the catch. In all three scenarios, the sub would have become very warm very quickly. In scenario one, for example, the temperature would have risen from 15-20 degrees to 70 degrees in 2.7 minutes – and to 150 degrees in ten minutes. Despite protests from Madsen’s defence that it would have been cooler at the bottom of the sub, where the submariner claims he found Wall’s body, a forensic officer had already testified earlier in the trial that there were no signs of heat impact on Wall’s body parts. Winther was not the first expert to take to the stand on day eight who cast doubt on Madsen’s claim that Wall succumbed to exhaust fumes. Captain Lieutenant Ditte Dyreborg revealed how she conducted tests on the sub on October 14 after Madsen changed his story about how Wall died. She told the court there was no signs of exhaust gases – neither carbon monoxide nor CO2 – and not the slightest trace in the filters. Dyreborg maintained the sub had been sealed since it was first examined and that traces should be present. Dyreborg revealed how she first became suspicious when she learned of the submarine sinking on August 11. She called the police to notify them of her suspicions – particularly as the sub should not have sunk so quickly – and then took part in the salvage, ensuring the sub was raised slowly to preserve evidence. Perhaps in recognition of his nemesis, Madsen was frequently annoyed during her testimony, frantically scribbling notes for his lawyer to use in her cross-examination. Madsen’s defence lawyer sought to demonstrate Dyreborg’s limited knowledge of the Nautilus. The court was reminded that Dyreborg had never been aboard the vessel or any privately-owned submarines, and that her expertise mainly relates to submarines in general and particularly those used by the Armed Forces. For example, Dyreborg’s knowledge of the sub’s engine does not extend to her taking it apart. Nevertheless, the lawyer struggled to refute Dyreborg’s claims. In short, the expert rejected Madsen all of his explanations, including the one about being able to hear Wall through the hull with the engines and compressor running. Among the other witnesses to take the stand were a man who saw Madsen carrying a saw on the afternoon of the day in question “very carefully”; yet another woman who testified that Madsen invited her out for a trip on the sub in August after only a brief meeting months beforehand; and Madsen himself, who was asked again to make some technical explanations. Madsen was accused, not for the first time, of changing his story – this time in relation to his rinsing of the very system that Dyreborg claimed should have showed residue of the exhaust gases. But Madsen angrily rejected the prosecutor’s accusation that he had risen the number of rinses from three to four … just a couple of hours after the potentially damning testimony that they should have been a little sooty. Or at least not spotlessly clean.